“Nothing can be affected but by one man,” wrote Henry David Thoreau. “We must first succeed alone, that we may enjoy our success together.” Of course, Thoreau’s celebration of the individual runs counter to the prevailing logic of our age. As a society, we believe that collaboration and teamwork are of paramount importance, and that we need to cooperate to accomplish anything great. But society is little help when it comes to developing our own personal ethics, morals, and philosophical beliefs — the building blocks and sustenance for self-identity, personal integrity, and self-respect. When it comes to creating a sense of self, young adults have to start from scratch, and they have to do it alone. 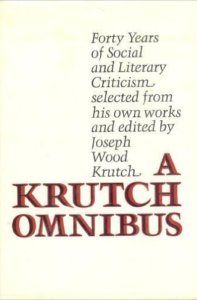 The great American writer, naturalist, and literary critic Joseph Wood Krutch (November 25, 1893 — May 22, 1970) addressed this topic in a commencement speech delivered at the University of Arizona on June 1, 1960 and later published in A Krutch Omnibus (public library). “I will assume the privilege of a commencement speaker to give advice,” he told the audience before sharing his fascinating views on the cultivation of personal integrity and self-respect. His timeless message is ripe for rediscovery in a world increasingly defined by materialism and relativism. Krutch cautions young adults against doing what everybody else does, thereby diluting their integrity. Do not be so exclusively concerned with society and social conditions as to forget your own condition. You are your own self and you cannot shift the responsibility for that self to world conditions, or social conditions, or the mores of your civilization. That you cannot shift this responsibility is your burden. It is also your ultimate resource. The time may come when you lose hope for the world, but it need never come when you lose hope for yourself. Do not say ‘I will do what everybody else does.’ Be, if necessary, a lonely candle which can throw its beams far in a naughty world. And I say this not only because I think that in the end that is best for society. I say it first of all because I’m sure it is the best and happiest course for yourself. If you must be pessimistic about the world, if you must believe that society is corrupt, then do not see in that any reason why you should be corrupt. Be scornful of the world if you must, but base your scorn on the difference between yourself and that world which you think deserves your scorn. You will be told that you risk thinking yourself wiser and better than the common run of men. I hold that this, too, is preferable to being content not even to try to be better and wiser and more honest than they are. 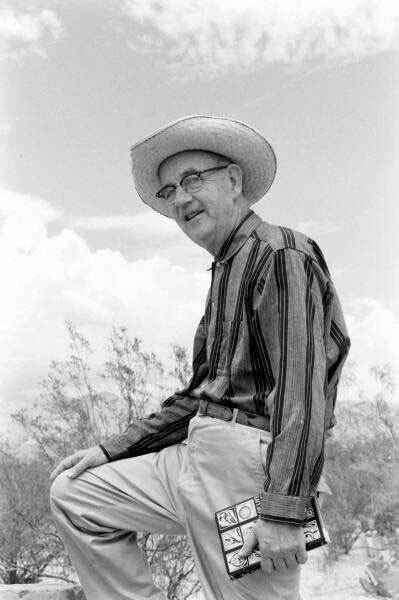 Krutch also warns about the intoxicating appeal of “money, power and fame,” the pursuit of which can rob young adults of their personal self-satisfaction. We hear it said frequently that what present-day men most desire is security. If that is so, then they have a wrong notion of what the real, the ultimate, security is. No one who is dependent on anything outside himself — upon money, power, fame or whatnot — is, or even can be, secure. Only he who possesses himself and is content with himself is actually secure. Too much is being said about the importance of ‘adjustment’ and ‘participation in the group.’ Even cooperation — to give this thing its most favorable designation — is no more important than the ability to stand alone when the choice must be made between the sacrifice of one’s own integrity and adjustment to, or participation in, group activity. Complement this particular part of the fascinating A Krutch Omnibus with The Butter Battle Book by Dr. Seuss, then revisit Thunder Boy Jr., Sherman Alexie’s children’s book about the search for self-identify.